WIKIPEDIA.ORG: Gregory "Pappy" Boyington: (December 4, 1912 – January 11, 1988) was a highly decorated American combat pilot who was a United States Marine Corps fighter ace during World War II. He received both the Medal of Honor and the Navy Cross. 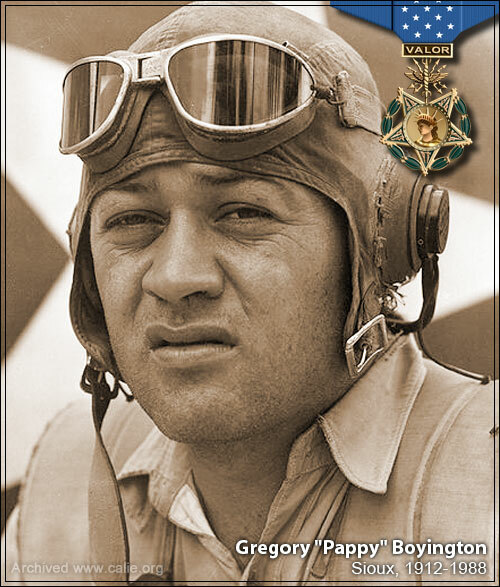 Pappy Boyington served as a fighter pilot in both the US Navy and the Marines, he achieved the rank of Colonel in the Marines. 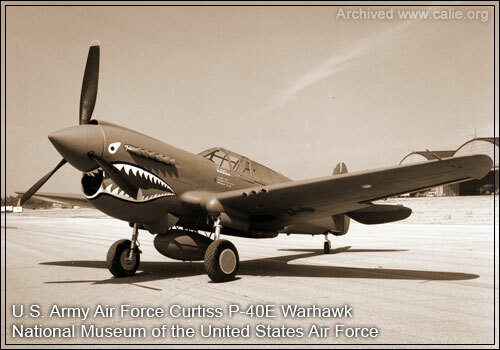 Boyington was initially a P-40 Warhawk combat pilot with the legendary "Flying Tigers" (1st American Volunteer Group) in the Republic of China Air Force in Burma at the end of 1941 and part of 1942; during the military conflict between China and Japan, and the beginning of World War II. Boyington was shot down during a WWII combat mission and declared missing in action. He had been picked up by a Japanese submarine and became a prisoner of war. According to Boyington's autobiography, he was never accorded official P.O.W. status by the Japanese and his captivity was not reported to the Red Cross. He spent the rest of the war, some 20 months, in Japanese prison camps.